Many online bloggers are looking for free backlinks. Here is how to make them happen and get important results. Yes, free backlinks are so valuable that sometimes bloggers will get paid in them by sponsors instead of money. What is a nofollow SEO backlink? Why are dofollow backlinks so valuable? How can you make backlinks? Can you change nofollow backlinks to dofollow backlinks and vice versa? Ultimately, when you create content of value that solves people’s problems, people will want to link to you. As a result of people linking to you, your Domain Authority Ranking will rise, and people might decide that they want a link from you. In this case, you might see requests start to roll in for dofollow and/or no follow backlinks. What Are Nofollow and Dofollow Backlinks Anyway? Essentially, dofollow backlinks offer what some call “Google juice,” These links provide a large boost to your site in search engines. On the other hand, whether nofollow links help your SEO or not is a debated topic. This is because nofollow tells search engine bots not to follow your link. Regardless, you want to build up both dofollow backlinks and nofollow backlinks. When people follow your links, you get traffic and build a link profile, which gives you credibility. Nofollow backlinks help you create the appearance of credibility to search engines. Sometimes, guest bloggers will opt for dofollow backlinks rather than money. In order to accommodate them, you should know how to do this if you choose to. While many people steal images from all over the web to use however they choose, this is not professional and does not reflect well on them. If you use an image or graphic that was made by or belongs to someone else, they may request a dofollow link when you give them credit. If you interview someone, or they contribute in some way along those lines, you may need to change nofollow backlinks to dofollow backlinks. 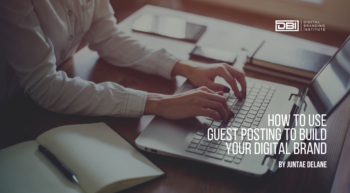 If you want to encourage people to comment on your site, you can create a yearly blog post thanking those who commented. The most active commenters can even get dofollow links. This will show commenters that you appreciate them and encourage more and new ones. While a lot of bloggers who don’t have much coding experience find the idea of changing code intimidating, it is not always difficult. In fact, changing nofollow backlinks to dofollow backlinks is not hard at all. Insert your HTML backlink. When you edit it, make sure that you click Open Link in New Tab. Go into the edit mode of a post that has the link you want to change. Click Text. Then, the HTML code will be brought up. Locate the link you want to change into a dofollow. Click “Ctrl F” to bring up the find function. Paste what you are looking for into the find box so it becomes highlighted and is easy to spot. In Preview mode, click the link to make sure it still works. Some say that you should not change nofollow backlinks to dofollow backlinks. This might be considered “Black Hat” SEO by Google, which can get you penalized by them. The majority of links are this type of link. They have the least “Google juice,” but this doesn’t mean that they are not useful. You link to a site you can’t vouch for or don’t want to boost the rankings of. When linking to a site that requires login or registration. You are using an affiliate or sponsored link of some kind. Click the Text tab to go into HTML mode. Remember, the most effective online link profiles have a healthy combination of both dofollow and nofollow backlinks. While each is different and offers different benefits, it is important to know how and when to use them. Remember that you ultimately need to know about and utilize both kinds of links, whether they give you that all important “Google juice” or not. Also, remember that changing all of your links to dofollows and not linking to relevant sites is not considered Google best practices. Here is a handy guide that goes more in depth into backlinks. Both of these link types will factor into your SEO overall, so it is important that you understand how they work and when to use each.